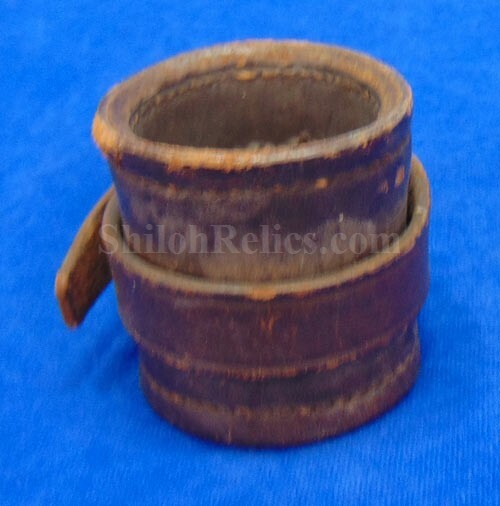 Non-Excavated Original Civil War Leather Cavalry Carbine "Boot"
This is a nice complete Civil War cavalry carbine "Boot”. 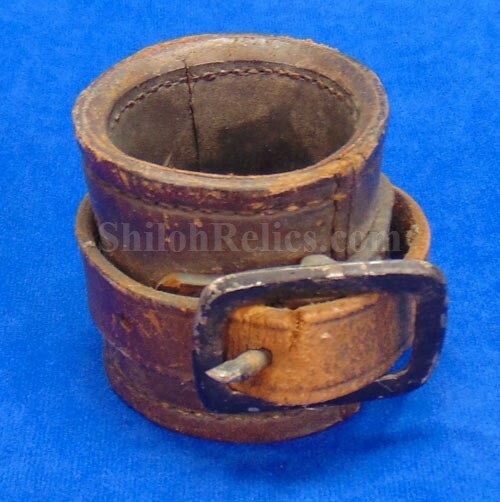 These were designed to hold the barrel of the carbine while the soldier was on horseback. They would have strapped to the saddle by the leather belt that runs around the waist of the boot itself. 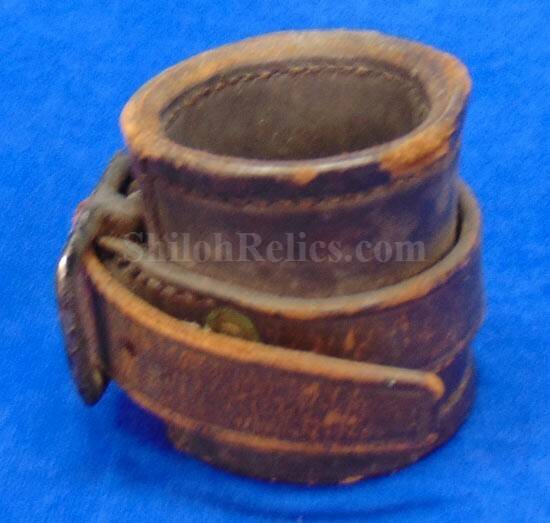 It has the original strap intact as well as the iron buckle for length adjustment. The leather has the attractive black color as you can see. You can tell that this one was actually used and is not a surplus piece. This is a nice solid Civil War boot with a fine look.